With the road to WrestleMania 34 officially getting underway in just a few weeks time, the announcements for WWE's 2018 Hall of Fame class have already begun. We already know that Goldberg is going to be the headline act in New Orleans, but beyond that, nobody else has been announced as of yet. While it’ll be interesting to discover who’ll join him, we want to focus on the future – and more importantly, we want to try and predict who will headline the HOF for the next five years beyond 2018. That may seem like a fairly simple task given some of the names that haven’t been inducted yet, but a lot of it comes down to timing. Some guys may still feel like they’ve got one more run left in them meanwhile others just don't want the spotlight, but either way, WWE usually gets their guy more often than not. So with that being said, here are our predictions for the next 5 WWE Hall of Fame headliners. 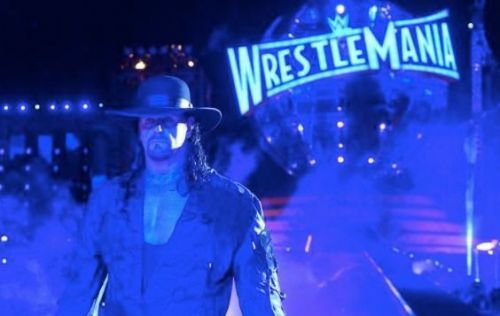 It’s no secret that The Undertaker’s legendary career has all but come to an end, with his WrestleMania 33 main event bout seemingly indicating that he was closing the book on his days as an in-ring performer. Now, however, it seems as if one more match in New Orleans could be on the cards for The Phenom. That makes sense given that Goldberg has been announced as this year’s Hall of Fame headliner, with many fans believing that Taker will be inducted into the HOF the year after his final match. So then, why not finally put The Deadman into the Hall twelve months after he inevitably loses to John Cena at the Superdome?